Florida residency is an area of law that applies to many facets of daily live. Often individuals move to Florida for estate planning and estate taxes. When this is a primary concern, it is important to not only create Florida Residency, but to protect against the prior state's claims of taxing authority over one's estate and assets. If you are moving from New York, California, or other states to Florida for these purposes, its important to meet with a Florida Residency lawyer to make sure your plans and actions are sound. Florida residents get special privileges and protections from Florida’s asset protection laws. To determine if you are a Florida Resident the court will look your circumstances and intent to make Florida your domicile. Generally your primary residence is the place you live and call "home." This home is where you go to sleep and where your mail is delivered. Previously filed Florida intangible tax returns. Florida Statute section 222.17 states that for a person to show intent to maintain a residence in Florida as their permanent or primary residence / home, they can file a Declaration of such intent with the circuit court in which the home is located. 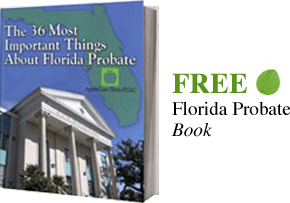 Ownership of more than one home is not prohibited by statute as long as a primary residence is claimed only in Florida. Florida Statute §196.012 defines a permanent residence as "that place where a person has his or her true, fixed, and permanent home and principal establishment to which, whenever absent, he or she has the intention of returning." If Asset Protection may be appropriate or you feel that there is a potential risk you would like to limit, CONTACT our Florida Residency Lawyer by email or call us at 904-685-1200 to discuss your situation today.